Sunriver Woodworking is proud to offer superior quality kitchen and cabinet hardware including knobs, pulls, drawer guides and more, allowing you to add that personal final touch to your home. We have partnered with the following industry-leading brands. 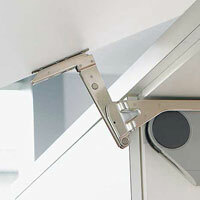 Hinge and Drawer Systems. Our solutions make opening and closing furniture a mesmerizing experience, and deliver quality of motion and convenience to the entire home. 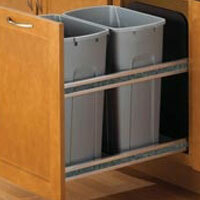 Cabinet organizing Accessories. A “whole home” approach has expanded the current product categories to include: kitchen, bath, closet, and childproof cabinet products targeted toward the middle to luxury end of the customer demographic. 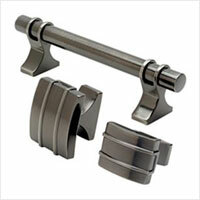 Decorative hardware solutions. Amerock offers a complete line of decorative and functional cabinet hardware, bath hardware, hook and rail and wall plates. Lighting and Furniture hardware. Häfele America Co. serves the U.S. market with innovative services and solutions by focusing on delivering functional hardware and specialty fittings to meet your construction needs. 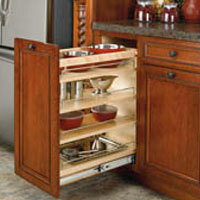 Kitchen and Bath Storage and Organization Solutions. Knape & Vogt’s storage and organization solutions for kitchen and bath include innovative under-counter waste and recycling systems, Lazy Susans, pull-out systems, drawer inserts, specialty storage and more.